Categories: Accessories, Side drifting, Steelhead Beads. 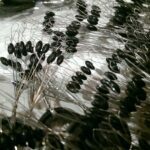 Tags: bead fishing, Beads, bobber dogging, cleardrift, dinger, fishing, float fishing, northwest, Side drifting, Soft Beads. Crosscut Rabbit strips are a great tying material for stacking wraps in making a full bodied jigs. 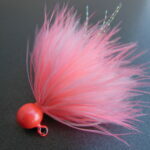 Very popular for both steelhead jigs and coho twitching jigs, this is a very versatile material. Dinger Jigs is now offering rubber bobber stops. 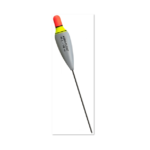 These rubber bobber stops are rated for 2 – 6 lb line and are categorized as ‘small’. If you want a stop that will not move all day long, this is the one you are looking for. You can’t find stops rated this small anywhere else. Each ‘tree’ has six individual stops. Simply slide the end of your line through the open wire loop, then slide the rubber stop off the wire and onto your line. These schlappen jigs are tied on a lead head jig to provide the extra color that one may desire. 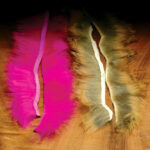 They also provide a more robust profile than a standard marabou jig. Select jig size and overall color scheme. 1/8oz & 1/4oz jigs are tied on a 1/0 Owner hook or a 1/0 Matzuo hook. 1/16oz jigs are tied on a #2 Mustad Ultrapoint hook. Custom sizes are available upon request. Schlappen jigs that are palmered on the hook shank provide more variations and effects than a standard marabou jig. By blending or layering different colors, different sized feathers, or number of feathers the number of variations are too numerous to list. Contact us for custom colors.